Death is not an easy issue to deal with when it affects us personally, nor is it an easy subject to discuss. Yet, the Catholic Church has always had a healthy and uplifting attitude toward death. The Saint Luke Bereavement Team was established in order to provide a fuller ministry for those facing death for themselves or a loved one. The Saint Luke Bereavement Team has been a ministry in the parish for many years. The Team contacts the bereaved several weeks after the funeral, reaching out to let them know the parish community is here for them. 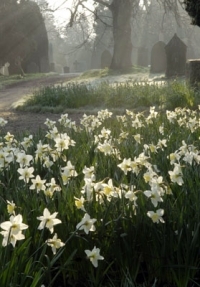 Bereavement Team members meet with the family of the deceased and assist them in planning the funeral liturgy; picking out Scripture readings, music and providing guidance as to how the family members can take an active part in the Mass. They attend to all details of the funeral liturgy, making sure that the family is comfortable. The Team also provides the bereaved with Mercy Meal information. Contact the Saint Luke Parish Office for further information on our Bereavement Ministry. Saint Luke Parishioners with a special gift of reaching out to those under hospital care make up the Hospital Visitation Team. Their efforts to touch Saint Luke parishioners during difficult times complement the work of Deacons and priests. Teams are scheduled on a weekly basis. New members are teamed up with experienced members in order to see first hand what is required for this Ministry. 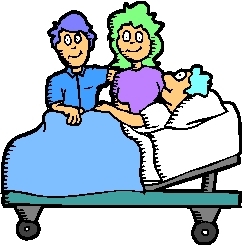 If you have a loved one who is hospitalized, please be sure the parish office is informed to assure a visit. Further information on this Ministry can be provided by contacting the parish office. 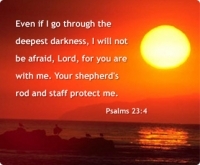 We all need the power of prayer, especially at the most difficult times in our lives. We also know of friends or loved ones who are in need of prayer. Whatever the situation, be it illness, job loss, financial difficulty or any of life’s hurdles we come across, the Saint Luke Prayer Chain is here to help. With over 40 Saint Luke parishioners currently participating in the Prayer Chain, the power of prayer will be on your side. 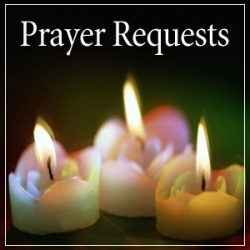 Contact MaryAnn Dulay at the parish office with your prayer requests for those who are in need. You may divulge as much or as little detail as you feel comfortable with. All we need to know is that prayer is needed. Becoming a member of the Prayer Chain requires a simple willingness to pray for those in need. The parish office can provide further details. 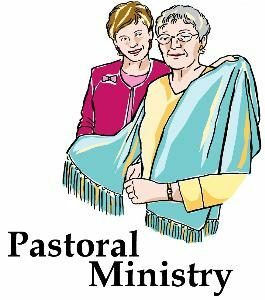 Members of this ministry visit those parishioners who are unable to attend Mass and other parish activities to help them maintain their connection with the parish. This may include bringing them Holy Communion or joining together in prayer. Frequency of visits can be determined by the person homebound, their caregiver and the Saint Luke minister. Although you are not required to be a Eucharistic Minister in order to serve in the Homebound Visitation Ministry, a strong sense of reverence and respect for the Eucharistic is essential. Instruction can be provided to take Eucharist to the homebound. Oftentimes when parishioners leave a hospital or rehab facility we are unaware of their situation once they return home. Please let the parish office know if someone you know is homebound.